The notochordal plate develops from the notochordal process, which is morphologically modified from a hollow tube shape to a flattened plate shape. The ventral floor of the notochordal process fuses with the endodermal layer beneath it and thus assumes a flat shape. 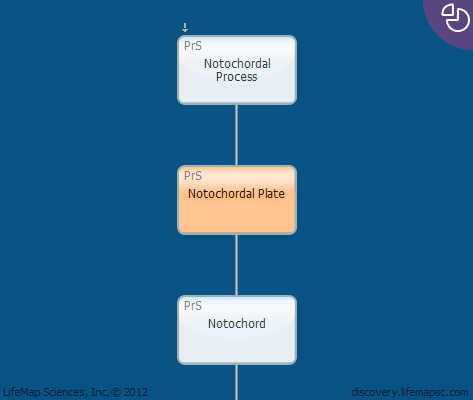 The notochordal plate then detaches from the endoderm and rolls into a solid rod called the notochord.